Supporters of public lands at the Mike Thompson Wildlife Area on Public Lands Day 2016. Photo: Dan Sealy. Much of our public lands are open for private citizens—typically ranchers who may not have land of their own—to obtain leases or permits to graze cattle or other domestic livestock for their personal profit. These leases are completely legal and typically are extremely low-cost, but are issued with restrictions so they do not conflict with the primary purpose of the lands, whether for forest management, wildlife habitat, public recreation, or protection of endangered species. In some instances conservationists have complained these permits are outdated and do not recognize the true value of the habitats which range from prairies to western forests—especially since cattle, sheep and other livestock are indiscriminate grazers and can devastate a natural landscape. Cliven Bundy and his family graze cattle on lands in Nevada on the Arizona border administered by the Bureau of Land Management. In 2014, a 20-year dispute over unpaid grazing fees—amounting to over a million dollars—resulted in a standoff between armed occupiers and federal agents as the federal government tried to round up Bundy’s cattle to remove them from public lands. Malheur Wildlife Refuge. Photo: Mathew Foster, Flickr.com CC. 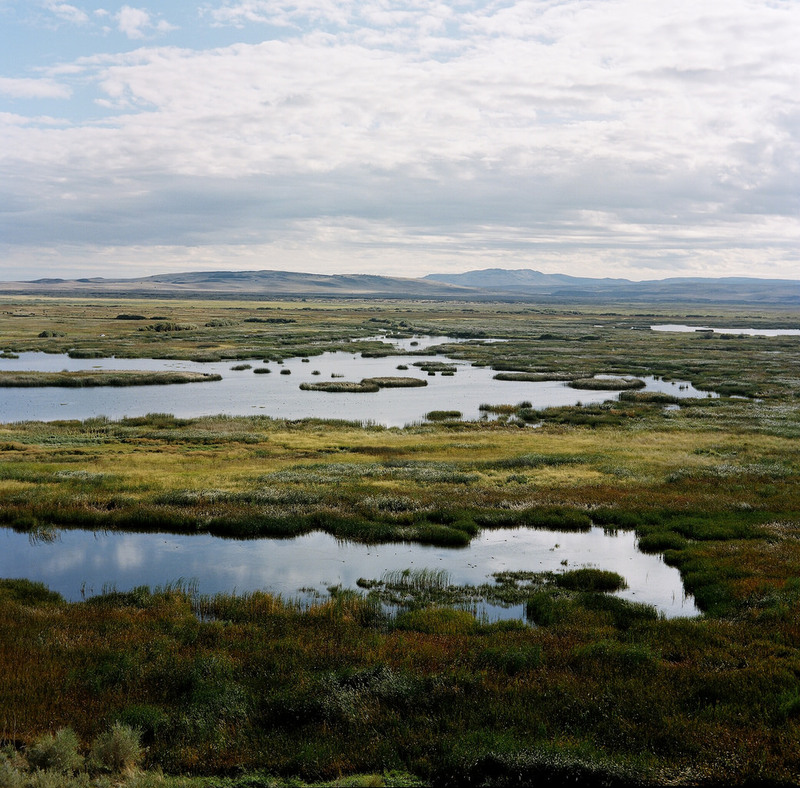 In eastern Oregon, rancher Dwight Hammond ran cattle and harvested hay on over 26,000 acres of Malheur National Wildlife Refuge, including prime wildlife habitat with wetlands. Hammond and his son were told their permit was revoked in 1994. Court testimony showed hunters witnessed the Hammonds killing a herd of deer and setting the refuge on fire to cover their crime. Their nephew testified he was told to “light the whole countryside on fire.” In another instance, they set a backfire one night knowing there were firefighters camped above them. Testimony was submitted showing the Hammonds and others had threatened to harm or kill the refuge manager, other refuge employees and their families. In 2012, the Hammonds were convicted of arson and served only a few months in jail. On appeal, that sentence was changed to several years. The Hammonds’ return to jail sparked outrage by the Bundys and those who supported their cause. Vigilantes took over Malheur Wildlife Refuge for 41 days in early 2016 leading to a standoff with one man dead and others in jail. The Northcoast Environmental Center joined conservation organizations around the nation in rallies to support protection of our public lands. On July 10, President Trump issued full pardons to the Hammonds, declaring “justice is overdue” for the pair whose imprisonment for arson sparked the 2016 occupation of Oregon’s Malheur National Wildlife Refuge. The Hammonds have asked to have their grazing leases renewed and, due to the pardon, past crimes will not be weighed in the process. Decisions on permits will be based upon the 2013 collaboratively developed plan for the refuge. The Bundys still have cattle grazing on public lands in Nevada and have not paid the fees owed. Does the dismissal in the Bundy cases and the presidential pardon embolden those who do not recognize the authority of the federal government to enforce environmental and other laws on public lands? Will death threats to federal employees and their children, setting public lands ablaze to cover crimes, and defacing sacred objects and grounds of Native Americans become acceptable? If a federal employee had committed any one of those acts they would be fired and taken to court. Laws created to protect our national parks, forests, wildlife refuges, wilderness areas and other public lands need to be respected and enforced by law enforcement and judicial employees. Citizens who enjoy privileges such as grazing permits will need to reconsider what a democracy looks like and conservationists will need to continue to support those who are charged with protecting the lands we own. Otherwise, public lands will no more be places of outdoor recreation and personal inspiration.